Transparent urethane display cushion upgrade for all Macintosh and PC notebook and tablet computers. Protection where it matters most. Description: Wildeepz Display Cushion Upgrade provides a solid, stable, and insulated display to chassis interface for Mac and PC notebooks and tablets when latched. These transparent, expanded urethane cushions maintain uniform, display-to-top case clearance. The nearly invisible and non-reflective spring-like pads effectively prevent the display bezel from contacting the case, and aid in maintaining clearance between the screen and lower chassis. Wildeepz cushions are easily applied to the display bezel - finish abrasion is completely eliminated, as well as display abrasion in all but the most severe use. Wildeepz are backed with an advanced aerospace adhesive that stays put, yet allows them to be easily removed, without finish damage. Notebooks and Tablets fitted with Wildeepz exhibit a very rigid and solid feel. A downloadable screen image installation template is available for perfect cushion placement. Includes 10 - 20 cushions per set, more than enough to totally outfit 1-2 portable computers. For TOTAL protection, combine with ScreenSavrz, RadTech's display protection, cleaning & refinishing solution. 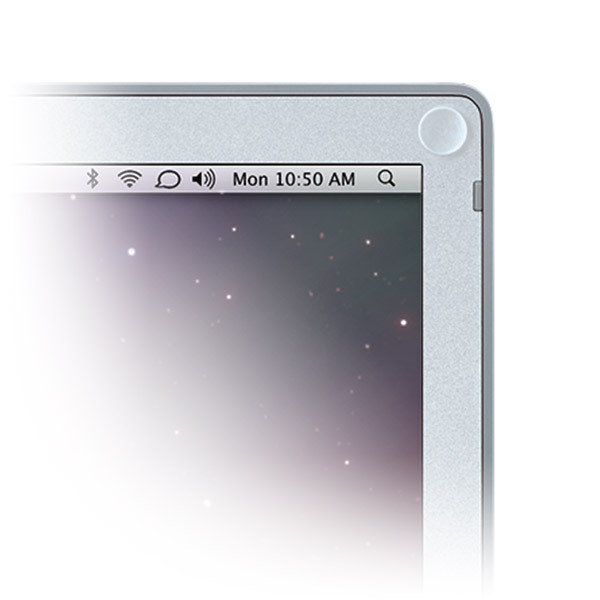 Series 1: For 13in MacBook, 15in MacBook Pro, Titanium PowerBooks & most PC notebooks/tablets. Series 2: For 17in MacBook Pro. 12, 15 and 17in Aluminum PowerBooks and all Dual-USB iBooks. Click the appropriate template image file to download. Once downloaded, open the image with Preview.app (included with OS X). Once open, select "Full Screen" or "Slideshow" from Preview's "View" menu - press the escape key to return the image to window view.